Break-out sessions and classes are big contributors to the success of your trade show. The right topics and speakers can attract an audience full of quality leads, but without session tracking, you are missing out on a lot of invaluable information. Session tracking is a way to earn instant feedback based on attendees’ actions, and the data you gather can help you hone your marketing strategy, better respond to participants’ interest, and make the most of your time and money. Gathering that data can be messy or inconvenient without the right technology, but Advanced Tradeshow Technology has more than 20 years of combined experience in the industry and we can provide accurate, streamlined session tracking services. Keep reading to learn more why you should invest in session tracking and contact Advanced Tradeshow Technology today to get customized trade show management services! Great sessions can be integral to a successful trade show. When you offer interesting, insightful, relevant content, it will naturally boost the visibility of your event and the credibility of your company as the session content is shared on social media or discussed among co-workers and friends. But how do you distinguish the great sessions from the duds? Your event participants are telling you by “voting with their feet,” so to speak. 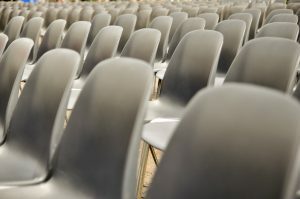 Session tracking can give you real, quantifiable data on how many people are attending each session and how long they stay, making it easy to determine which topics and speakers are a hit and which classes are a flop. You can’t measure your ROI without information, and session tracking can offer invaluable data. Expertly tracked attendee behavior can give you hard numbers on how much value each session provides, and you can make evidence-based decisions on which session topics and speakers are worth your money. You also have the data to show how your events affect sales and leads, which you can use to entice exhibitors and sponsors to your next trade show. Advanced Tradeshow Technology can customize our session tracking services to your needs and objectives. Our data capture system can net whatever information you need about your attendees, from basics like their name and address to higher-level details like their decision maker status and rep call requests. You will also have accurate, unambiguous proof of attendance, which is critical if you are offering continuing education sessions. The National Association of State Boards of Accountancy (NASBA) and other such organizations that require continuing education also require verified proof of attendance. The right session tracking technology makes it easy, and your participants will have a high opinion of your company knowing that you have credits and certification tracking under control. If you aren’t utilizing session tracking, or you have been using clunky old-fashioned systems, then you are wasting time and money and losing the valuable data that makes your trade show worthwhile. Today’s session tracking technology gives you the opportunity to closely monitor the success of your event and make better, more informed decisions to improve this year’s trade show and all those trade shows to come. 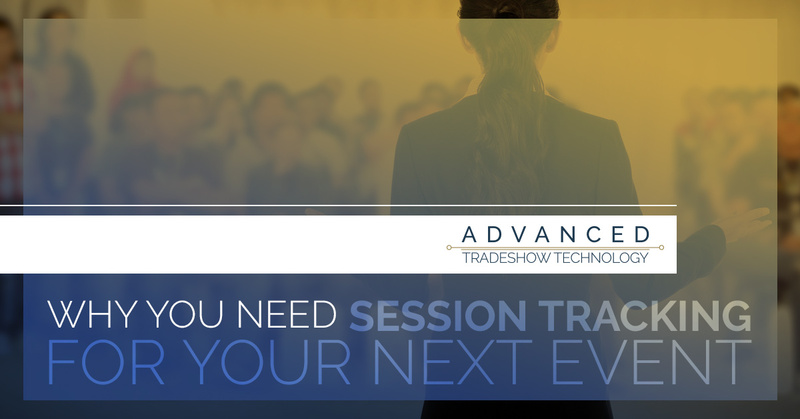 To learn more about how to use session tracking data to your advantage, look for part two of this series, or contact a team member from Advanced Tradeshow Technology! We don’t believe in the cookie-cutter approach when it comes to trade show management. We believe that nothing but a hands-on approach, carefully tailored to each client and event, can lead to true success. We handcraft all our services to your needs and objectives to make sure that you make the most of your event. Explore our site to learn more about what we can offer your company and contact Advanced Tradeshow Technology today to get started!